On the 11 November 1975 the federal Labor government led by Prime Minister Gough Whitlam was controversially dismissed from government after a political deadlock in the parliament. 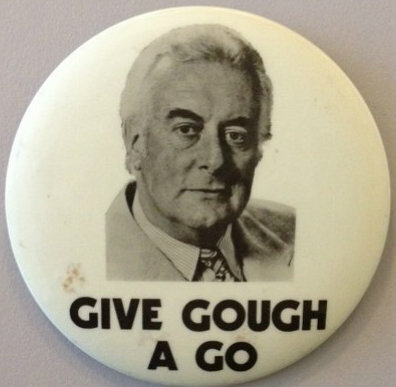 Prime Minister Whitlam was so incensed by the Governor-General’s actions, he was moved to say ‘Well may we say God save the Queen, because nothing will save the Governor-General’. Hundreds of books and articles and millions of words have recounted and analysed these events ever since. These include many authoritative histories like November 1975 by Paul Kelly, Crash through or Crash by Laurie Oakes and Whitlam’s own writings such as The Whitlam Government 1972-1975. These and other works are extremely valuable as part of the historical account and assessment of what took place. A much more vivid and arresting insight into the drama and passions aroused by these events can be had by looking at the newspapers, political ephemera and posters from that time. 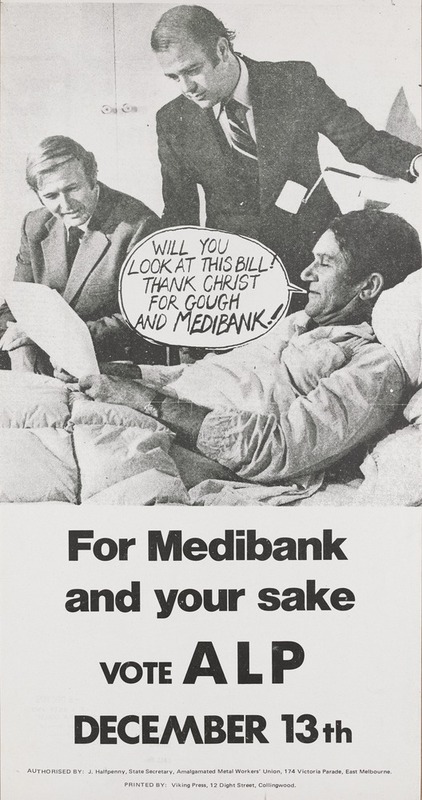 Fortunately the State Library of Victoria has significant collections of political ephemera and newspapers covering the entire Whitlam government period from 1972 until 1975. Most of the these are housed in the Riley Political Ephemera collection. The election campaign that followed the dismissal on November 11 saw two contrasting approaches by the major parties. 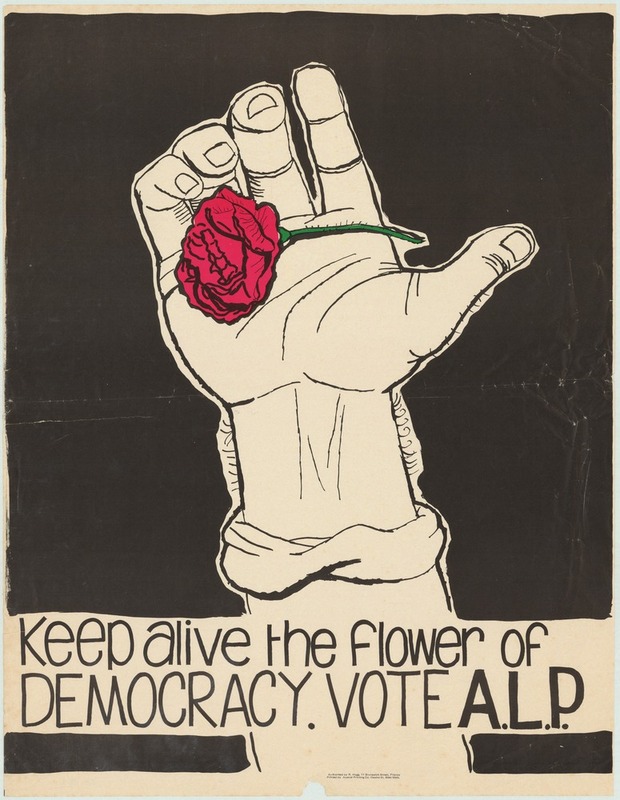 The Labor party saw a grave threat to Australian democracy as a result of its dismissal. 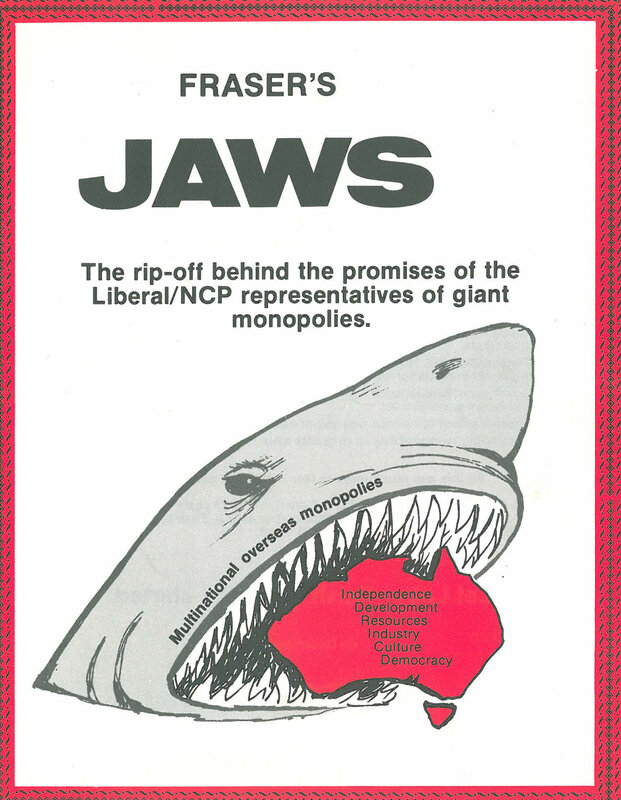 The Liberal party on the other hand concentrated on the economic performance of the Whitlam government and what it saw as corrupt or incompetent governance. 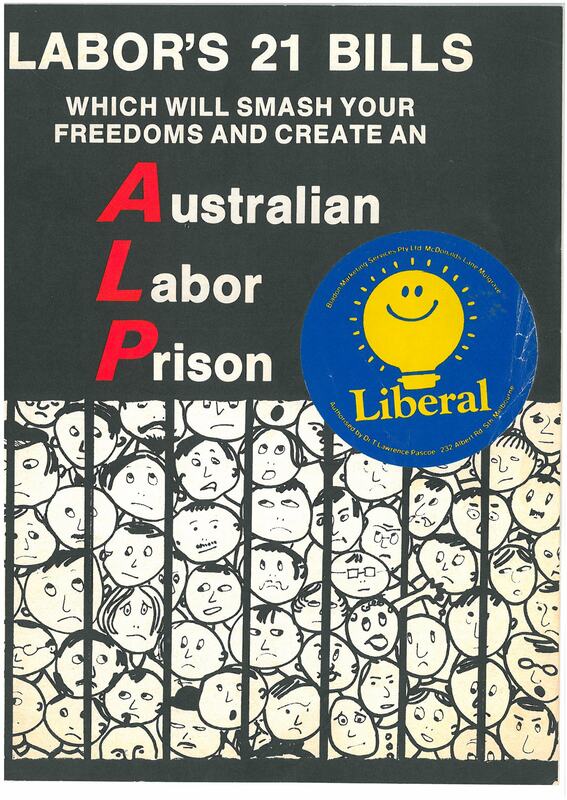 Towards the end of the election campaign the Labor party gave greater emphasis to economic and social issues but it was too late and it suffered a massive defeat at the election on 13 December. These and other newspaper reports from the time can be read online from links on our newspapers eresources pages. Access is free for Victorian members of the State Library of Victoria. See our become a member page for details. Very well written Tim. 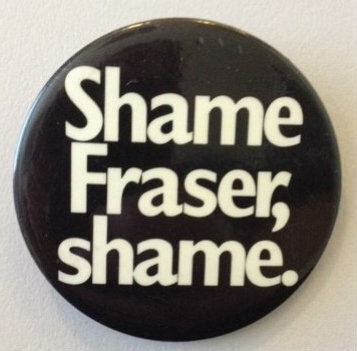 I remember it well and was working in the ATO when we heard of the dismissal. One of my fellow worked was so incensed he said ” That’s it-I’m not doing any more work today when the government I voted for has been sacked”. People were totally shocked that such a thing could happen..